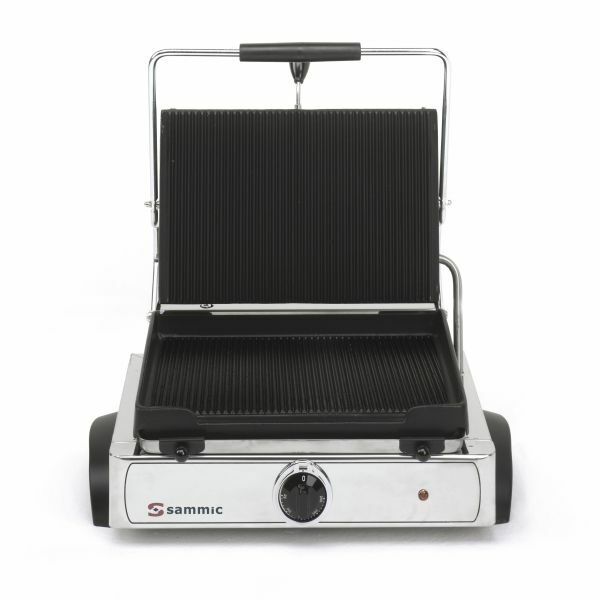 Medium-sized ribbed contact grill with cover. 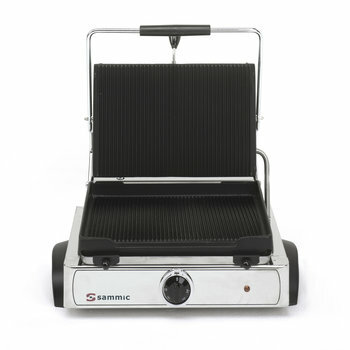 Medium-sized ribbed electric contact grill in cast iron alloy. Height adjustable tilting cover equipped with brake.